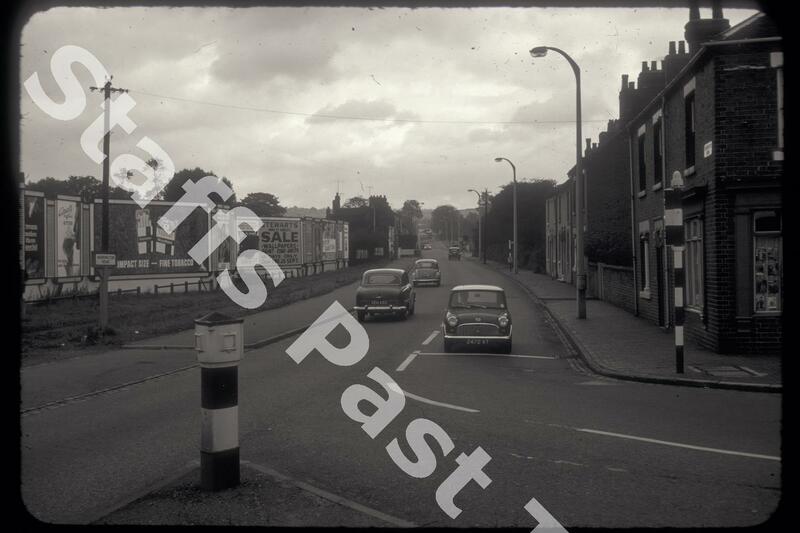 Description:looking along Werrington Road from close, to the junction with Bucknall Road. Ruxley Road, as was, is the road off to the right, but it changes in road layout means it no longer joins Werrington Road. 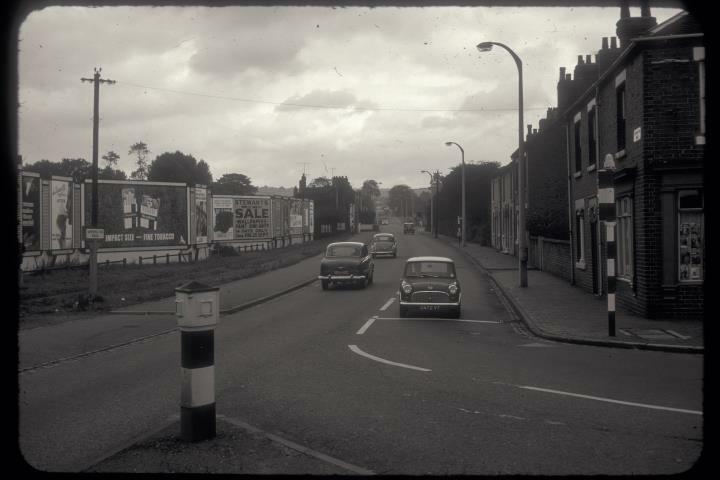 On the left behind the advertising hoardings is Finney Gardens. The houses on the right hand side close to the camera have been demolished and replaced with blocks of flats.